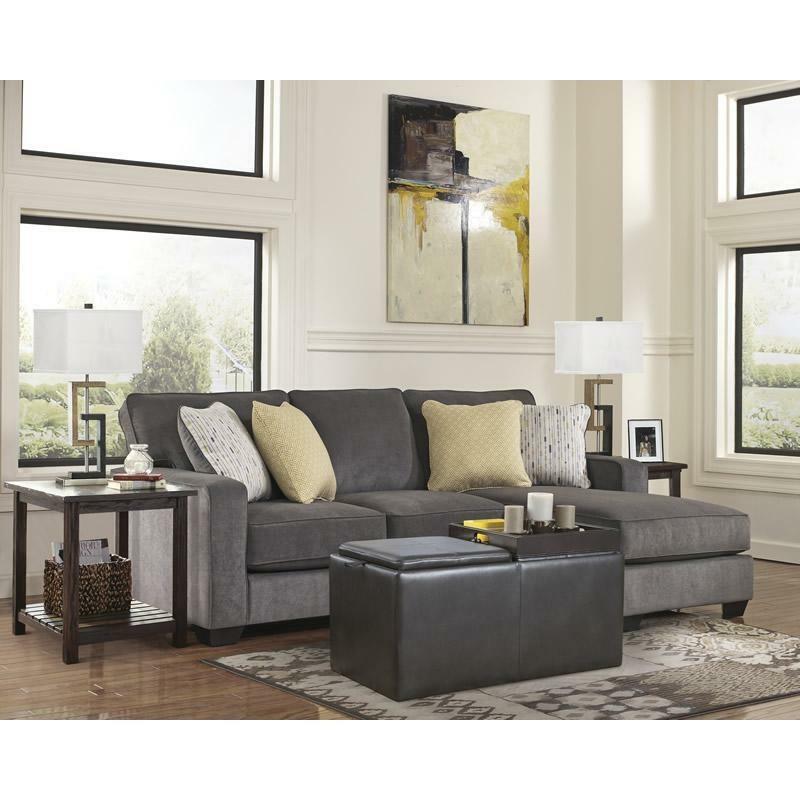 Signature Design Sectionals Hodan 7970018 (Stationary) from Furniture King Pembroke Inc. Sometimes clean and simple is simply beautiful to behold. That's the case with the Signature Design Hodan sofa chaise. 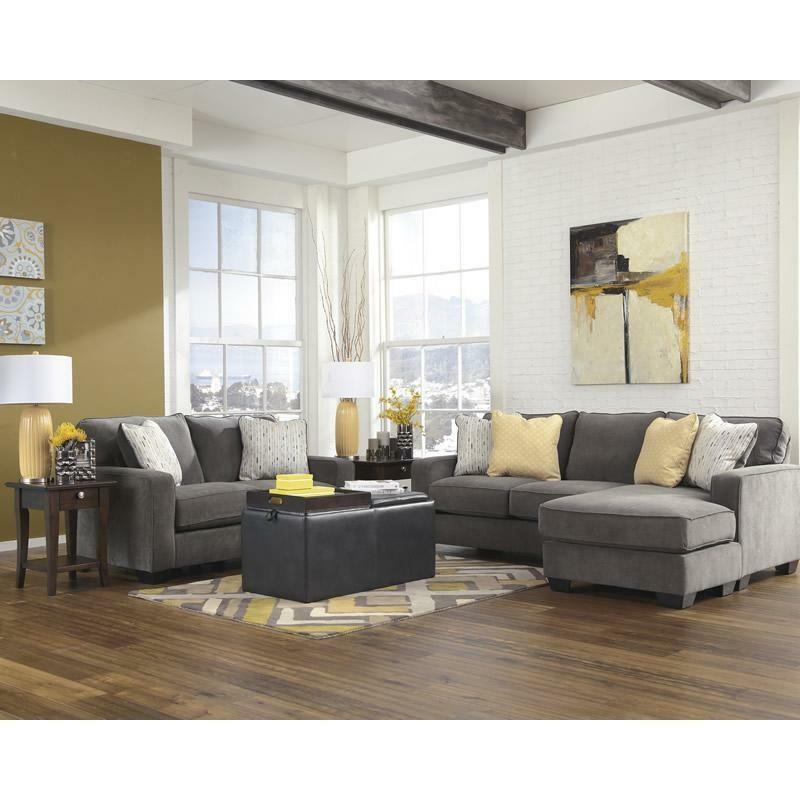 It's contemporary—yet warm and inviting—in a soft, earthy shade with plush nap upholstery. Speaking of naps, lay back and enjoy the chaise. 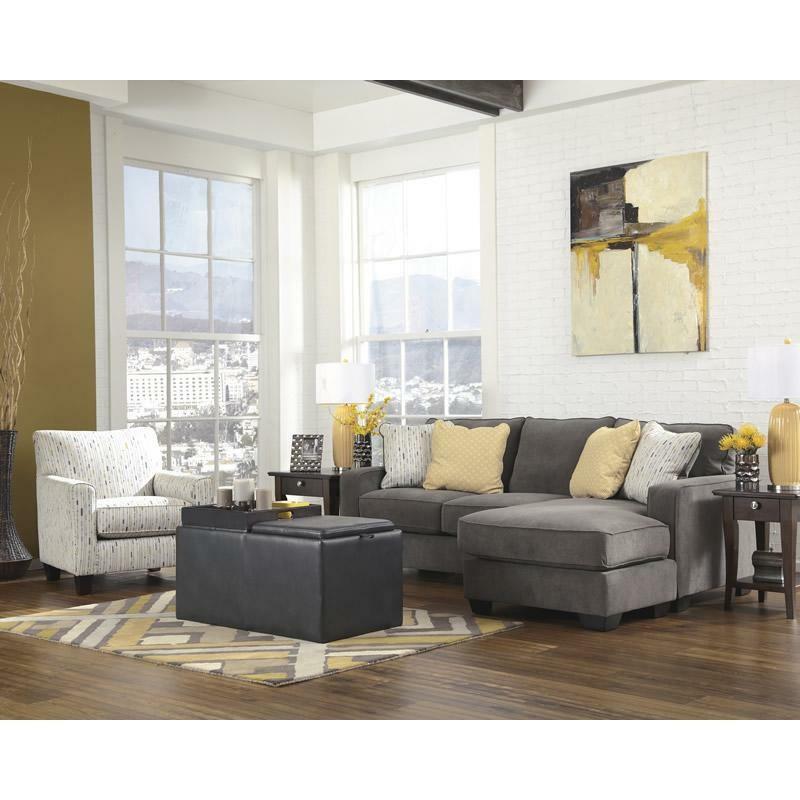 With a moveable ottoman-style base and reversible seat cushion, you can have it on the right or the left. 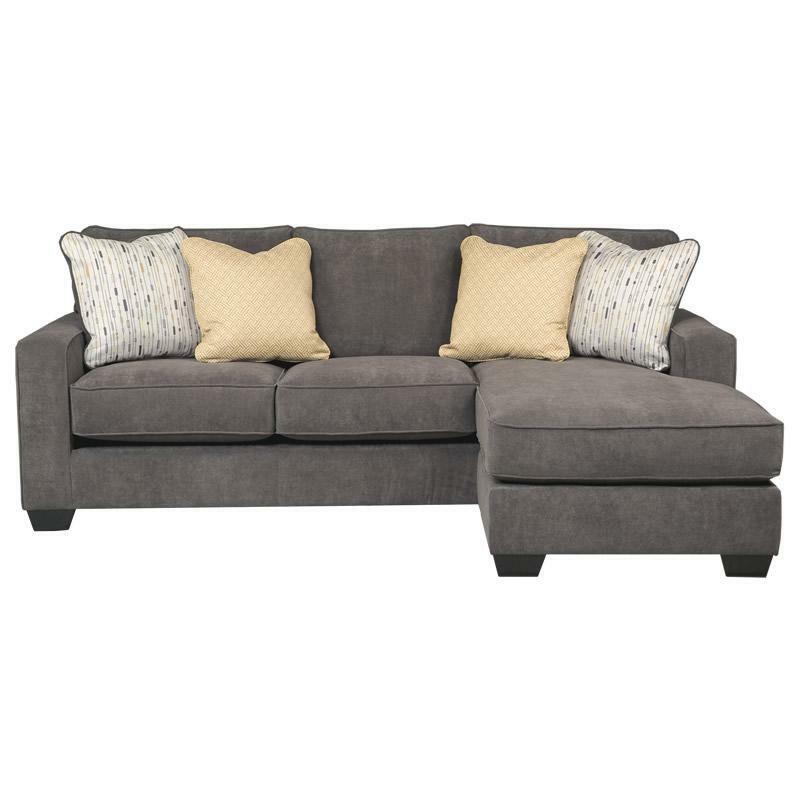 Additional Information Arm height 25.5"; Minimum door size opening 32"; Distance between arms 79"; Leg height 3"
Back Top of cushion to top of back 17"
Seat Reversible seat cushions adds the versatility of a reversible chaise; Seat depth 48"; Seat height 20.5"
Furniture King is proud to announce that we have relocated to 10 Matthews Ave in Pembroke Ontario, and that we are now an Ashley Homestore Select! We continue to serve all our surrounding areas including Deep River, Petawawa, Pembroke, Eganville, Barry's Bay, Renfrew, Chapeau and Fort Coulonge just to name a few. We sell all Ashley Furniture and mattresses. Also we carry Sealy and Tempurpedic mattresses as well as adjustable bed frames and lots of Home Décor. Drop by and we will treat you royally! © 2019 Furniture King Pembroke Inc. All Right Reserved.